We are not particularly keen on Halloween in the C-house. It could be because I do not like the idea of departed souls roaming our streets at night. I’d rather they were all at peace wherever it is that departed souls are supposed to be. J doesn’t do dressing up or the whole trick-or-treat charade. So we don’t do stock up on sweets either. Last time someone came knocking, they ended up with a healthy apple, not a toffee apple, as a treat. That said, it does not mean we do not like to get into the spirit of things. See what I did there! It was completely unintentional. So as I was saying, it doesn’t keep us from doing Halloween crafts or having fun with Halloween decorations. 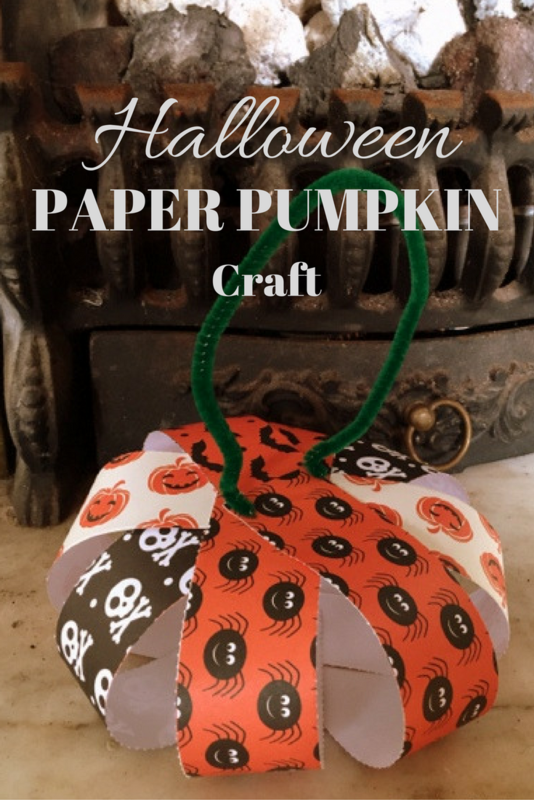 This month’s Bostik craft box was full of Halloween inspiration, so we decided to use the material to craft a paper pumpkin. It is easy to make and can be made with whatever scraps of paper you have lying around. Stick the strips of paper, one over the other, to form something resembling the spokes of a wheel. Bring together the free edges of the strips, two opposite ones at a time, and stick them all together at the top. You should end up with a shape resembling a pumpkin. Fold the pipe cleaner in the shape of a handle and use Glu dots to fix it to the top of the pumpkin. Your Halloween Paper Pumpkin craft is ready for use. Place it in front of the fireplace or in the window. Or hang it from a hook or on the door handle. Whatever you do, make sure you have fun making it. Thank you, Melissa. Yes, the glu dots are very easy to use and they seem to hold most anything in place. Looks like great fun! We're a bit too young to go trick or treating and I usually end up eating any sweets I get in for any visitors. This looks like a good way to commemorate the day without totally ignoring it or getting elbow deep in pumpkins! That's my problem too! I can get through chocolate like there's no tomorrow, so am better off not buying it in the first place.